Tasmanian Recent Release: Star Crossed by Minnie Darke. One of Australia’s most well loved and acclaimed storytellers, Tasmania’s own Danielle Wood, is back under the pseudonym Minnie Darke with her first ever work of commercial fiction. 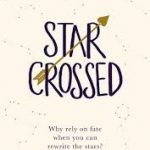 Star Crossed is set to become an instant favourite, with publication rights already sold to nineteen countries, and negotiations for a film and tv series currently underway. This is a heart-warming and hilarious story that will leave you wanting to check your rising sign and restore your faith in love. So what are you waiting for? Run to your nearest bookshop and get your hands on this delight of a book! 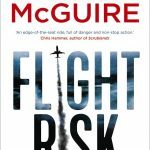 Australian Recent Release: – Flight Risk by Michael McGuire. Disgraced former pilot Ted Anderson is working for a top-secret government organisation dedicated to investigating terror incidents. When one of his investigation’s fails, Ted flees to New York as yet another disaster strikes. Planes keep dissappearing from the skies, panic is spreading and no one has come forward claiming responsibility. When waiting for a flight home in a deserted JFK airport, Ted witnesses a suspicious dealing between a cleaner and an airline pilot, so he follows the pilot to his next destination. What happens next is some of the most gripping airport fiction in years. “Astoundingly original and utterly gripping, Flight Risk is a white-knuckle ride of nonstop suspense – a high-octane thriller full of pure adrenaline, explosive action and jaw-dropping revelations” – Allen and Unwin. 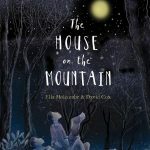 Kids Recent Release: – The House on the Mountain by Ella Holcombe, illustrated by David Cox. In remembrance of the Black Saturday bushfires, this is a remarkable and moving story of a family experiencing the devastating aftermath, and their journey towards healing and rebuilding. “At its core, this is a simple story that tackles a terrifying event gracefully. Ella’s prose is lyrical and David Cox’s illustrations are stunning, leaving the reader with a sense of hope and admiration at the family’s ability to rebuild their lives.” – Story Box Library. Tasmanian Classic: The Roving Party by Rohan Wilson. Winner of the 2011 Australian/Vogel Literary Award, the New South Wales Premier’s Literary Award for Fiction in 2012, and the Tasmanian Literary Award’s Margaret Scott Prize in 2013. Rohan Wilson’s powerful novel, The Roving Party, set in Tasmania, 1829, hones in on a disparate group of men; some convicts, one a farmer, and Black Bill, an indigenous man who was brought up as a white man; as they set off on a roving expedition with sinister intent. Massacre. Each man is willing to risk their life for the promise of freedom, money or land rights, as they cross country, murdering the indigenous people and taking few prisoners. 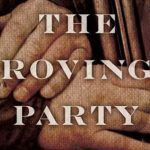 “A surprisingly beautiful evocation of horror and brutality, The Roving Party is a meditation on the intricacies of human nature at its most raw.” – Goodreads.